Dolly’s passion for helping people realize their dream of home ownership has been longstanding. Purchasing a home is the #1 greatest investment a person will likely ever make. Dolly ensures that her clients know the ins and outs of the process before ever actually going out and looking at homes in person. A clear process for home buying (and selling) makes the transaction go smoothly so the expectations of everyone involved are exceeded. She takes pride in her reputation as an honest, straightforward professional, and she knows that you need to hear the truth about your transaction—not a lot of hype. With Dolly, your questions are listened to and you get straight answers quickly and honestly. In this fast paced and dynamic market, Dolly believes communication is key in meeting her clients’ goals and building their relationship. As your professional real estate expert, Dolly focus on client satisfaction. Dolly’s business is about service and she is not happy until you are happy. 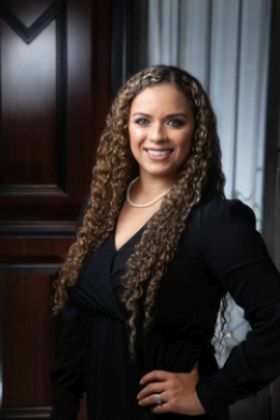 Dolly’s ultimate goal is a rewarding long term relationship where she can continue to assist you, family and friends with any future real estate questions and needs. Dolly’s clients know that with her they get a real estate professional who generates more than business—she generates quality results. Repeat business is solid evidence of doing things right and Dolly’s repeat client list represents this. When all is said and done, you’ll look back on your experience with Dolly knowing that she gave you the whole picture so you could make an educated decision about your most important asset…your home.